Is the wind good at Kagel? There's a new image we update every 5 minutes between 6am - 30m after sunset. It will be here all the time as long as the WhackCam is operational. From 6am to 2pm, the camera will normally be pointed at the windsock. After 8am, the camera becomes available to users for control until 1:58pm, so the camera may not be always pointed at the windsock between those hours. If it is not pointed at the windsock, you can control the camera by logging into the camera. User name and password is in the members only section of SHGA.COM. 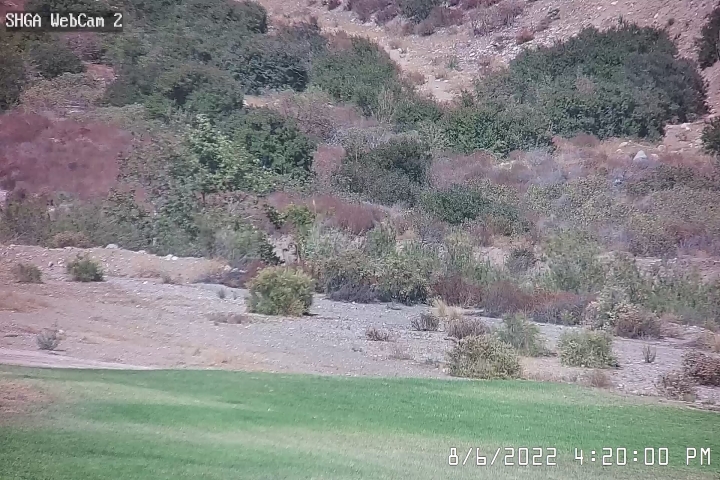 At 2pm, the camera should automatically slew to the LZ and begin recording landings until 5:30pm. PTZ control is not available to users after 2pm.